The government is today laying out plans to remove restrictions on alternative business structures (ABSs) on the basis that they have proven no more risky than traditional law firms. However, it has delayed publication of the consultation on the independence of legal regulators from representative bodies. 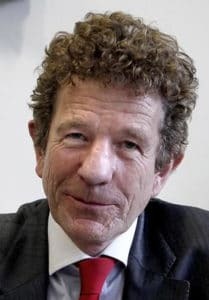 In a written statement to Parliament, civil justice minister Lord Faulks said: “The introduction of ABS businesses, particularly those that have access to external investment and business and commercial expertise, has benefited the market more widely. “Recent research has indicated that ABS firms are more likely to be innovative than other regulated legal services firms. He said concerns raised about ABSs in the run-up to the Legal Services Act 2007 led to a legislative framework for their regulation that was “more onerous and prescriptive” than that for traditional law firms. “In practice, ABS businesses have not been shown to attract any greater regulatory risk than traditional law firms and the Legal Services Board (LSB) and frontline regulators suggest that the current statutory requirements act as a deterrent and an unnecessary barrier to firms wanting to change their current business model to a more innovative one, as well as to new businesses considering entering the market. ABSs should not have to provide reserved legal activities from a practising address in England and Wales. The consultation said this restriction can prevent online businesses being licensed as ABSs, while traditional firms are not required to do reserved work. ABS licensing authorities should be able to make their own rules around ABS ownership, in line with guidance to be provided by the LSB. The consultation said the current “inflexible” rules on which non-lawyers need to be investigated before assuming ownership of an ABS leads to unnecessary checks on some people who have no real control or influence over an ABS, but others who should be checked fall outside the definitions set out in the Act. Amend the Act so that heads of legal practice and of finance and administration (COLPs and COFAs in traditional firms) only have to report ‘material’ failures to comply with licensing rules, rather than ‘all’ failures as now. This would bring ABSs into line with non-ABS firms. The consultation is based on reforms recommended by the front-line regulators which the LSB presented to the government a year ago and then taken up in November’s Autumn Statement. Legal Futures understands that they will in fact be published tomorrow. Paul Philip, chief executive of the Solicitors Regulation Authority, welcomed the consultation. “Currently the one-size-fits-all approach to approving ABS is unnecessarily burdensome,” he said. ABSs account for a turnover of £2.66bn – an average of around £5.4m a firm, compared to £1.9m for other SRA-regulated firms. A Law Society spokesman said it supported ABSs but added that “any change must ensure there is a level playing field between ABSs and traditional law firms in terms of regulation and client protections”. The consultation can be found here. It closes on 3 August and a summary of responses will be published by 26 August.